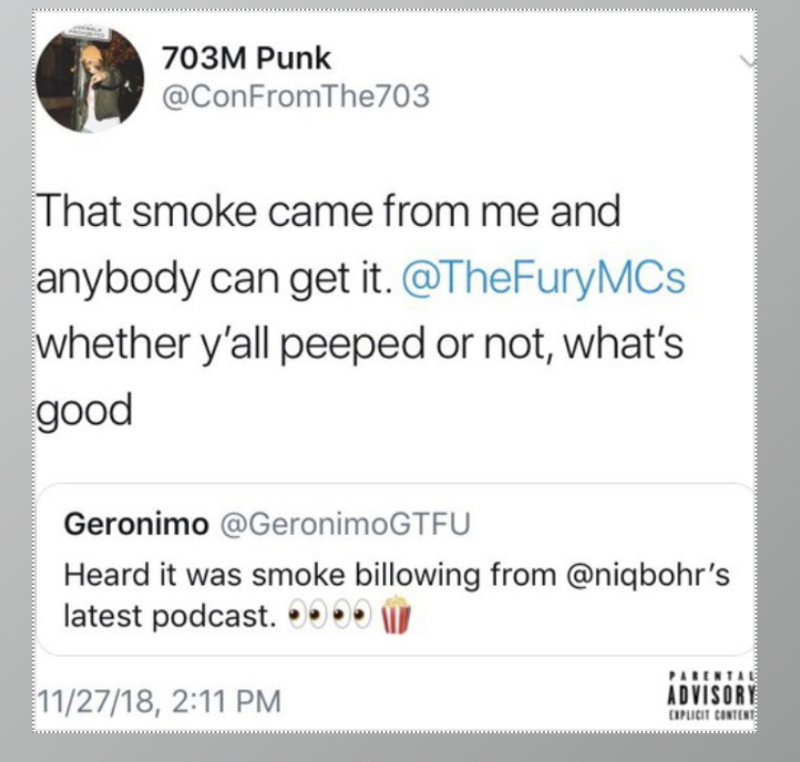 7:48:00 AM diss track to Con, DMV Hip-Hop, first blood, New SOTBMusic, new SOTBMusic from Virginia, NOVA hip-hop, SOTBMusic, The Fury MCs, Virginia hip-hop, who wants the smoke? The NOVA indie scene has been abuzz with the burgeoning “smoke” between rapper Con and pretty much the entire NOVA scene. This was all sparked by the fact that Con said that he’s coming for everyone’s neck. Between that and me checking out today’s track, he managed to call out The Fury MCs for reasons unknown. This resulted in the duo dropping “First Blood,” a track aimed at Con and his supporters that attacks the artist as being ingeniune. As the title suggests, this is the first salvo in what could be an interesting feud. I’m not picking sides, but I’m curious to see what Con will retort with. I mean, this is a bit of a gut punch, even with the smoothed-out gospel vibes towards the end. Check out “First Blood” below and remember to support dope music in all its forms. Update: 12/3 9:43am — Article fixed to remove erroneous information that Con was dropping a project in December.